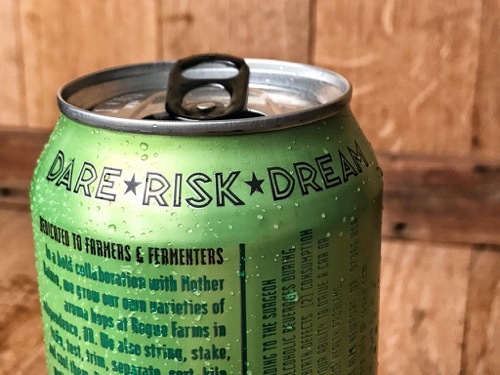 Dedicated to Farmers & Fermenters – In a bold collaboration with Mother Nature, we grow our own varieties of aroma hops at Rogue Farms in Independence, OR. We also string, stake, train, test, trim, separate, sort, kiln and cool them. Brewmaster John Maier meticulously selected and blended 6 varieties of our hops to create the big, beautiful bite of our 6 Hop IPA. 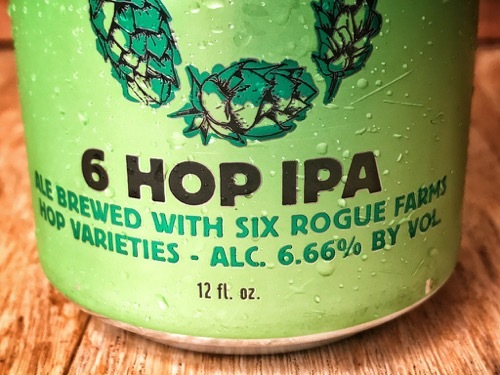 The story of any big American IPA is one about hops – and the story of Rogue’s 6 hop IPA is certainly no exception to that. 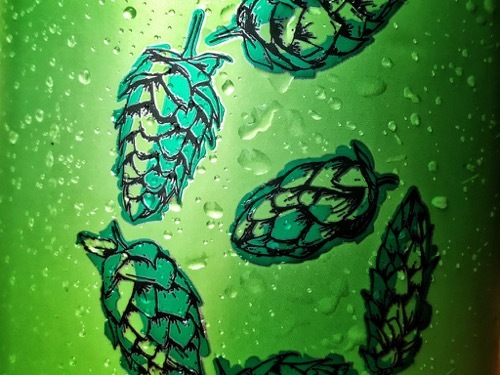 What makes it extra special, though is that their hop story isn’t just about the flavor, and why they chose what they chose… it’s about where these hops came from. 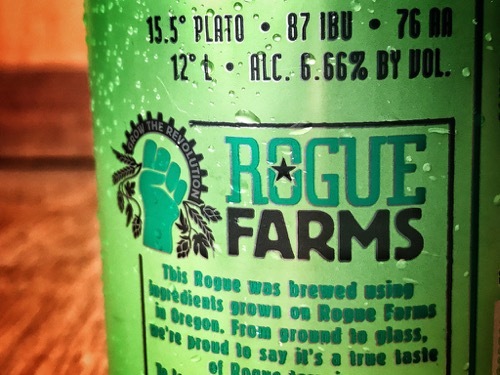 They selected a blend of Liberty, Revolution, Independent, Freedom, Yaquina and Alluvial hops that were all grown on site at their ‘Rogue Farms’ farm. These are homegrown, and make a farm to fermenter connection that I hope we see more and more of in the coming years. 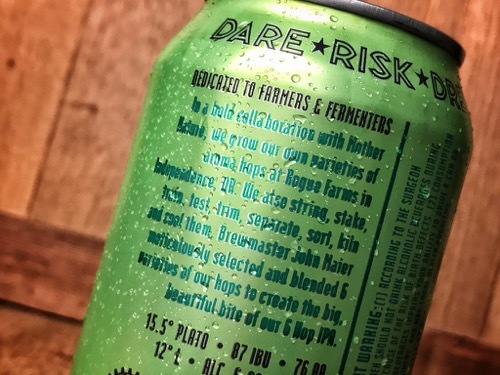 The food world has long understood and been able to make this connection between the earth and your meal, and it’s high time that our beer community is able to do their part in it too. It’s no mistake that this beer won gold at the World Beer Championships, though… it tastes great too – it’s not all about the “gimmick”. The beer is a hazy Orange color, with a thick, foamy white head on top of it. Aromas are ‘kick you in the nose’ piney, citrusy hops. It smells like a camping trip – but the good kind where you get to bring delicous food, and not worry about packing “light”. 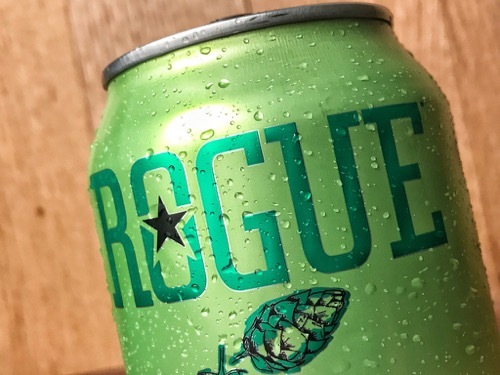 This beer is filled with flavor in a way that you’ve come to expect from Rogue. It’s “west coast” to it’s core. The taste brings a nice punch of bitterness, that carries the grapefruit and lemony fruit flavors right to the front of my palate. As the beer starts to finish, I get a nice crackery malt that helps balance out the bitterness. I like this, and I want more of it… Well done, delicous IPA – the story just kicks it up to the next level.